Networking is an important part of growing any business endeavor and using the blogging tool is another way of reaching the target audience effective and quickly. 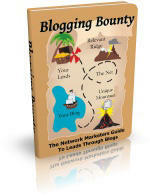 Understanding how blogging contributes to this end is as important as knowing how to apply this tool. The problem is that many people don't know how to use this tool correctly. Is your unmotivated behavior making your business life less fruitful than it could be? First, you are NOT alone! It may seem like it sometimes, but not understanding how to use blogs is far more common than you’d think.